NNOCCI is a network of individuals and organizations in informal education, the social sciences, and climate sciences. We are currently working in 170 institutions in 38 states. We share a commitment to using evidenced-based communications methods and providing the social and emotional support needed to engage as climate communicators. By working together we develop the knowledge, techniques, community and confidence needed to empower our audiences. And by speaking about climate change consistently across the country we are changing public discourse to be positive, productive and solutions-focused. NNOCCI colleagues continue to experiment, evaluate and share successes from their work with each other. We learn about the latest findings in climate science and oceanography and how to apply these to our own interpretive contexts at our institutions. In addition we build trust and lasting bonds among colleagues across the country who share an interest in developing effective ways to engage audiences in learning about climate and ocean change. 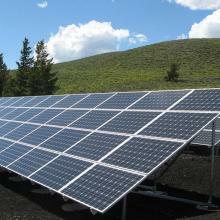 What does NNOCCI have to offer for visitors to climateinterpreter.org? NNOCCI offers resources and training to help others strengthen their voices and to increase our collective impact in promoting climate action. Please see the descriptions of our training opportunities below, and the links to our introductory resources at the bottom of this page. Get grounded in the way Americans think about climate change and introduced to the communications tools at your disposal. We like to think of this as the NNOCCI phrasebook training. We have options for this training that are 2, 4, 6 hrs in length. The more hours, the more time you have to practice and apply the tools with feedback. We are flexible and can host these at any time. Email [email protected] for more information. A NNOCCI Study Circle is a cross-disciplinary learning group made up of peers with expertise from fields of professional interpretation, climate and ocean sciences, and communications and cultural sciences. Through a series of facilitated in-person meetings, online work and practical activities, participants build knowledge of ocean and climate science, communications and cultural sciences. They apply lessons learned to communications or educational opportunities in the context of their work environment through several cycles of development, practice, sharing and reflection. We consider this training to bring you to bring you to a conversational fluency in Strategic Framing® and you will be certified to teach others. Study Circles are 70 hour courses open to pairs of colleagues from institutions in informal education and climate science who want to improve their skills at engaging the public in climate conversations. Email [email protected] for more information on upcoming Study Circle opportunities. 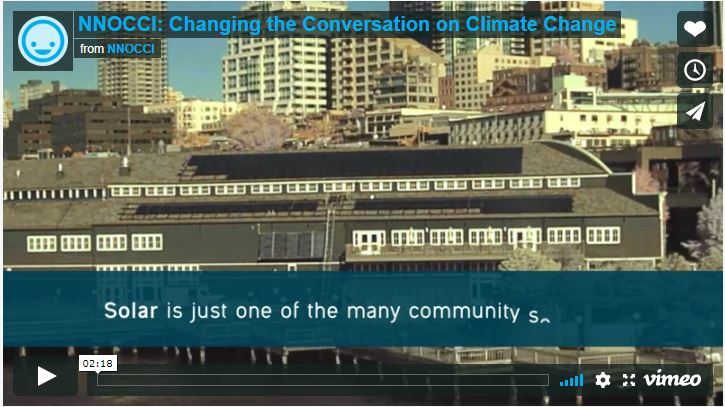 This short video describes the NNOCCI network and the national impact they are having on hope and self-efficacy as it relates to climate action. 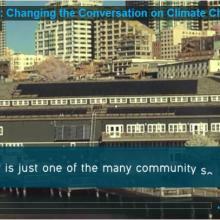 It’s possible to facilitate informative and empowering conversations about climate change. This video is about a project that grew from an idea into a network of more than 170 organizations working to do just that. Informal science education institutions (ISEIs), including aquariums, zoos and others facilitate tens of millions of conversations annually. Each conversation offers a chance to make a lasting impact on the participants' understanding of scientific issues and also on perceptions of their own capacity to make a difference in the world. The National Network for Ocean and Climate Change Interpretation (NNOCCI) started with a commitment to using evidence-based communications developed through social science research. Beginning in 2010, we worked with social scientists and ocean and climate scientists to train ISEI educators. 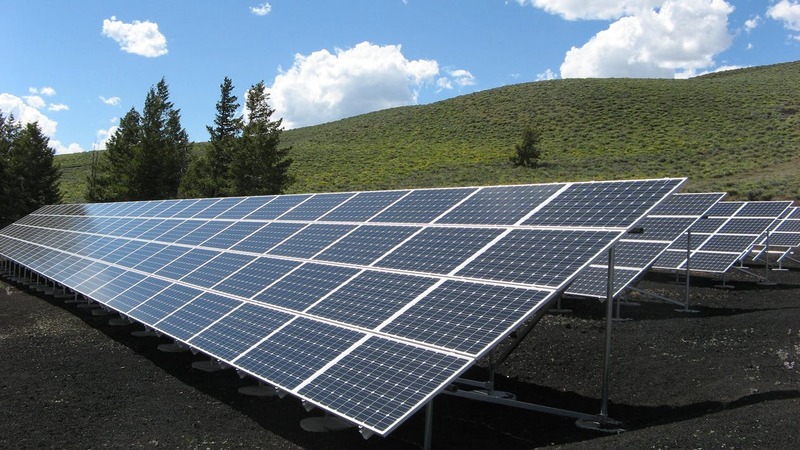 Training focuses on learning empirically tested techniques such as appealing to common, deeply held values that unite Americans, explaining the mechanisms driving climate change with tested metaphors, and orienting discussion toward examples of people already fostering positive change. Our approach is working! Evaluation evidence shows visitors to NNOCCI institutions are learning more from presentations and report they are more hopeful. Participants’ colleagues, friends and family members also perceive a difference. Out of this work, a vibrant network of over 350 communicators has spread across the US, with more joining each year. The network has become a force of its own, with members continuing to practice and learn from each other, and put research into practice. The National Network for Ocean and Climate Change Interpretation is delighted to announce a new online course in effective climate interpretation: Changing the Conversation on Climate and Ocean Change. The course offers an engaging, guided tour of rigorous communications research recently conducted by the FrameWorks Institute on behalf of NNOCCI with support from the National Science Foundation. With a virtual learning journey hosted by Lindsay Jordan of the New England Aquarium, and a ton of downloadable resources that informal educators can use to lead discussions or trainings with colleagues and volunteers, Changing the Conversation is an incredibly rich resource for taking framing back to your institution. The course is hosted in the FrameWorks Institute’s new online learning platform, FrameWorks Academy. 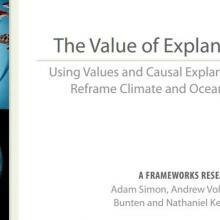 To access this course – free of charge - visit http://frameworksacademy.org/products/changing-the-conversation-on-ocean-and-climate-change Place the course in your shopping cart (no need to pay unless you decide to purchase any of the other course materials). Once you have checked out, you will receive an email from FrameWorks Academy with instructions for accessing your course materials. Please share this information with your professional networks. The approach to environmental communication explored in this course has the potential to shift our national discourse on climate change to be more productive, hopeful, and solution-oriented. This free e-workshop, developed by the FrameWorks Institute in partnership with the New England Aquarium, gives an introductory look at how interpreters can utilize Strategic Framing to more effectively communicate the ocean and climate change story with the public. Once you have checked out, you will receive an email from FrameWorks Academy with instructions for accessing your course materials. 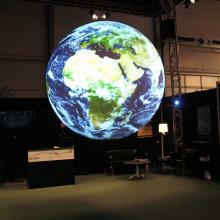 New climate interpretation tools available for Science on a Sphere® and more. What if informal science educators could treat scientific data like an illustration in a great picture book—a visual that brings the story to life and even helps move it along? The Visualizing Change project has taken on this challenge, working with data scientists, social scientists, and science educators to craft and test tools for telling more effective stories about climate change and its impacts on the ocean. A new toolkit offers a wealth of resources for interpreting timely climate topics such as extreme weather, ocean acidification, and more – with images and scripts designed to work with a variety of digital display technologies, such as Science on a Sphere®, other spherical displays, flat screens, or hand held tablets. These tools are available to informal science institutions at no cost, thanks to a grant from the National Oceanic and Atmospheric Administration. More than ever before, informal science learning institutions are finding ways to live to their conservation missions by helping the public understand the causes, consequences, and appropriate responses to climate change. Yet, the latest scientific data are often only available in dense or complex formats, which makes it difficult for interpreters to bring them into their conversations with visitors. What if science educators could treat data like an illustration in a great picture book—a visual that brings the story to life and even helps move it along? The Visualizing Change project has done just that. A set of partners – including ocean scientists, informal science educators, data scientists, and social scientists – has developed “visual narratives” that are highly effective with visitors. 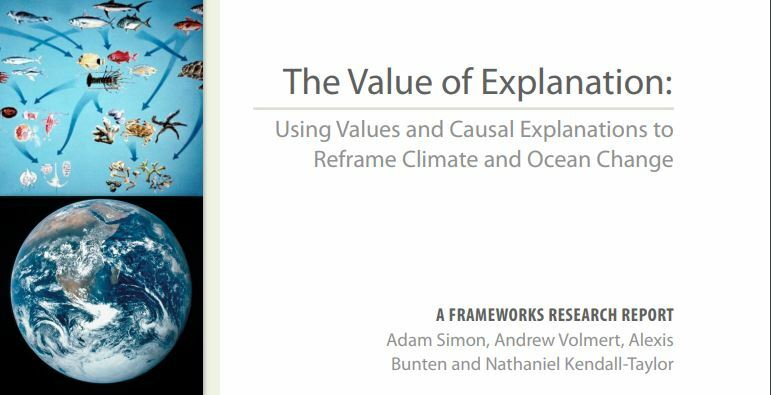 To create these narratives, Visualizing Change selected four climate-related issues - the climate-ocean connection, extreme weather, ocean acidification, and sea-level rise - and worked with data specialists at NOAA to find the right kind of data to help explain these issues. 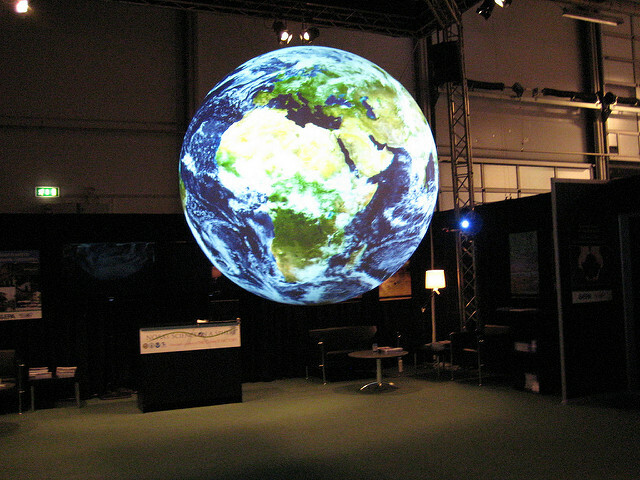 The resulting interpretive tools (including scripts, image sequences, and more) are designed to work with a variety of digital display technologies, such as Science on a Sphere®, other spherical displays, flat screens, or hand held tablets. And, because the narratives are also informed by rigorous research into how to explain these issues most effectively, they are also designed to work with your visitors. A complete toolkit of these tested narratives is now available for informal science education institutions to access and use at no cost, thanks to a grant from the National Oceanic and Atmospheric Administration. This multimedia toolkit includes the scripts and images that make up the narratives, as well as background resources to help science educators use them with confidence. If you are looking for reliable, effective, and innovative ways to translate climate science for the public, we hope these tools will be of use. We also hope you will help us bring them to the attention of others who could use them. To make it easy to spread the word, we’ve provided a blurb appropriate for your website, newsletter, or list-serv. The stories we tell in our institutions matter. They can create a more informed public that knows what’s needed to safeguard and protect our environment. We hope you’ll join us in telling stories that help Americans visualize change.